Erika Masak-Goldman is a graduate from both JFK University and the University of Oregon, and holds a Masters degree in clinical psychology. 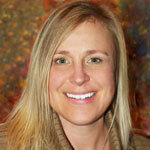 Erika has a specialty in working with addictions and trauma. She has worked at the Haight-Ashbury Free Clinics, UCLA Neuropsychiatric Institute, and also Thunder Road Adolescent Recovery Hospital.Erika has expertise in working with both complex and single incident trauma arising from childhood neglect, addictions, violence and combat. Erika helped found Veterans Resource, a non-profit organization offering treatment for PTSD to our returning service people.Currently, Erika is focused on her private practice and provides consultation for other clinicians. She also is raising 2 wonderful children, and enjoys swimming, tennis, skiing, gardening, cooking and hiking.